Classified as a Half-Standing Deep Backbend, the Camel Pose or Ustrasana in Hindi is practiced to gain an increase in strength and flexibility in the body and mind. The pose is excellent as a shoulder and chest opener, quadriceps strengthening, and an energy booster. Ustrasana Yoga is known to activate the Heart Chakra or the Anahata. Consequently, there is a great mood-boosting impact of practicing this asana. 1.Begin the ustrasana steps by kneeling on your mat, keeping the knees hip-distance apart. Squeeze your shins by rotating your thighs inward. The head of your toes should be digging into the floor. Be cautious not to press your buttocks together. 2.Place your hands on the back of your pelvis and your fingers indicating floorwards. Lean with your back in the direction of your fingers by lengthening your tailbone and widening up the rear of your pelvis. Remain leaned back with your chin tucked up a little and your gaze fixed to the ceiling. Beginners in the discipline can enjoy a relaxing backstretch and arms extension all at once and hold this stance for as long as pleases. 3.Now going advanced in ustrasana yoga steps, bend to a deeper degree catching hold of each heel. Have your palms rested on the heels with your fingers directed towards the toes and your thumbs clasping the outside of each of your feet. Relish your back, now curved into a deeper arch and the stretch spreading from your shoulders all the way down to your fingertips. 4.Now, keeping your thighs perpendicularly along the floor, align your knees flat on the floor. The compression setting in your lower back will now be sharper. To make the experience comfier, wrap your toes in and raise the heels a little, making it smoother to grasp with your back-extended hands. Tip: Make a good use of yoga blocks, placing them under the tip of each foot. 5.Hoist up your pelvis, yet maintaining the length in the lower spine. Outwardly, rotate your arms but keep from squeezing your shoulder blades. Fix your gaze perpendicularly from the back of your shoulders as you curve your neck back with the larynx exposed. Stay on your guard, not to bring a crunch in the neck! 6.Hold it 30-60 seconds long. Release and bring back your hands on the hips. Inhale and thrust your hips down on to the mat. Come rest in the Child’s Pose or lie down in the Corpse Pose and thus conclude and secure maximum efficiency of the ustrasana steps and benefits. Facilitates Abdominal Dynamism, Helping Digestion- The backward hip bend in this posture creates movement in the abdomen, bringing more efficiency in digestion. There is also a positive pressure in the region that can effectively make digestive juices flow from various glands. Posture Improvement with Shoulder and Back Stretch Out- Sedentary lifestyle, age, and nutrition deficiency related issues weaken our shoulder and vertebral joints, causing an overall drooping of the body frame. The deep stretch of the shoulders and back is one of the major ustrasana yoga benefits that can help mitigate such negative effects, equipping you with a more agile back and overall flexibility and better posture. Healing and Balancing of Chakras- The Camel Pose connects directly with the nerve-center of love, affectionate emotions, and compassion which is Anahata or the Heart Chakra. Resultantly, you feel more tuned in to your delicate feelings, becoming more capable of love and nurture. Endocrine Stimulation, Neurotransmitter Release, and Mood Lift- Besides a significant release in neurotransmitters like serotonin, a cheer-filled mood lift comes with the practice of the Camel Pose due to invigorated functioning of the hormonal glands. Thumb On the Sacrum in Case of Limited Spinal Flexibility and Core Strength- The Camel Pose has a more comfortable alternative for those who find it hard to back arch and reach the feet with their arms. Forget reaching for the ankles feet. Create pressure with hands on your sacrum instead. Stay about five breaths, widening space inside your lungs by opening out the shoulders, getting a deeper spinal extension by bending the back, pivoting from the hips and hands on the sacrum for support. Curling Toes to Mitigate Strain in the Lower-Back- It’s common to feel a pang of bad stretch in the lower back when doing the Ustrasana yoga steps, which can be helped with a curling up of the toes and a lift of the heels. This way, it gets less compressive in the lower back to arch in the rear and catch hold of the heels, or simply bringing your fingertips on the heels. Perform it by bearing down your thumbs into the sacrum and extending your tailbone. Then, tip your head back, unlock, and release your shoulders, broadening them. Thighs Against the Wall to Avoid Wrongful Hip Alignment and Shallow Breath- This modification is apt for those who find their hips hard to align in a stack above the knees, accompanied with thinning of the breath. Attempt pushing your thighs against the wall. Your hips are now squared over your knees, allowing a lift in the sternum with a deep inhalation to lengthen the spine. Keep your thumbs pressed in the sacrum for support. Avoid tipping the head to the back to help any shallowness of breath. Lift your chin on the exhalation, lengthening your tailbone and engaging the abdomen as you breathe out. Avoid the ustrasana pose if you are suffering from high or low blood pressure, chronic or periodic migraine attacks, and insomnia. There can hardly be any ustrasana yoga benefits for recovery from lower back or neck injuries, and best be avoided in such cases. 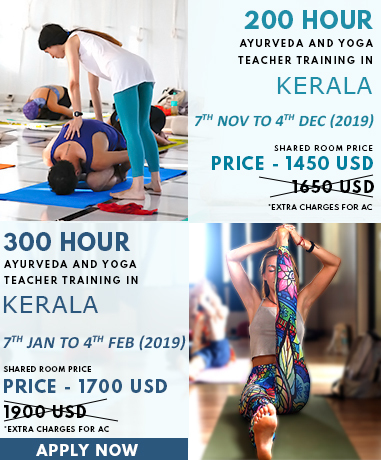 To know about Ustrasana in further detail, explore our Yoga Teacher Training In India.